Abortion has been called many things: a “reproductive right,” “woman’s choice,” and “personal decision.” Yet, very rarely has it been called something as ludicrous as “self-care.” However, a new billboard in Texas is labeling abortion as exactly that. “Black women take care of their families by taking care of themselves,” reads the billboard. 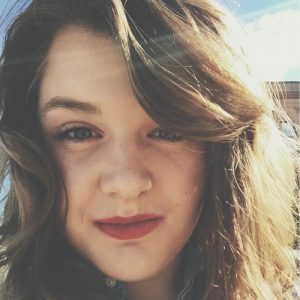 “Abortion is self-care. #TrustBlackWomen”. Placed along a Dallas highway, the controversial ad was produced by The Afiya Center. The organization self-identifies as a “reproductive justice” center for black women and operates out of north Texas. Uproar over the charged message has been widespread. Obianuju Ekeocha, an activist and author, tweeted out a reminder that the abortion industry targets black communities, and that black women are three times more likely to abort their babies than white women. “Here is a billboard campaign to glamorize the killing of black babies…Dear sisters, wake up & walk away,” she added. 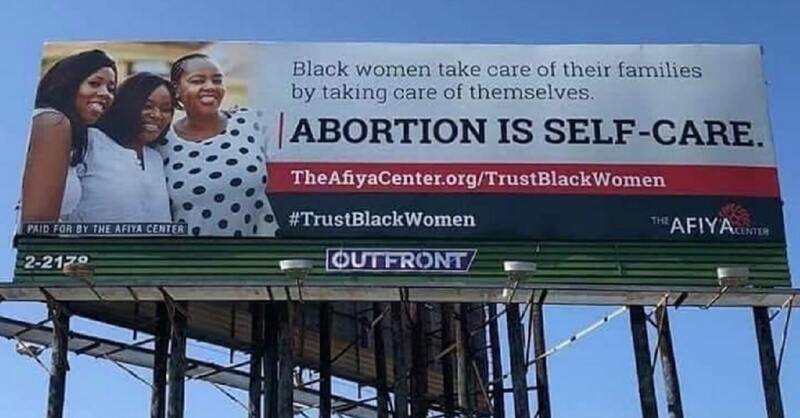 While the message of abortion as “self-care” is absolutely alarming on its own, the racial targeting of the message harkens back to the methods of Margaret Sanger, the founder of Planned Parenthood. She consistently promoted eugenics as a way of acting on her deeply rooted racism. “Margaret Sanger, the founder of Planned Parenthood, once said colored (sic) people are like weeds; they need to be exterminated,” explained Dr. Alveda King, director of Civil Rights for the Unborn (and niece to Martin Luther King Jr.). “Who taught y’all that the only way to engage with other women was to tear them down?” they asked in conclusion. It is yet to be seen if the group will leave the billboard up or if continued public outcry against targeting of the unborn with a racial message will motivate the group to take it down. Abortion is just plain wrong for everybody for so many reasons! It’s a shame that the African American community does not relize that the Democratic Party that is unapologetically For Abortion,, if they only knew that it’s USED to keep them minorities and subservient to white rule.. all they do is tell them how the republicans are against African Americans, but there not looking to kill your babies and keep your population down. The democrats make it sound like a woman’s right to choose and encourage women to get them but it’s pushed hard in the black community if your a black woman you need to ask why?? Why do they fight so hard to ensure Abortion rights aren’t taken away???? Well it’s population control if my numbers are right African American women use the service 3 times more than whites.. the democrats want you to kill your children..